Consumers often make money mistakes, and one of them is overspending on airline tickets. Flying includes numerous added costs but it doesn’t mean that saving money on airline tickets is impossible. Still, there are many great deals you can take advantage of, but it’s necessary to get to know where to look for them and when to travel. 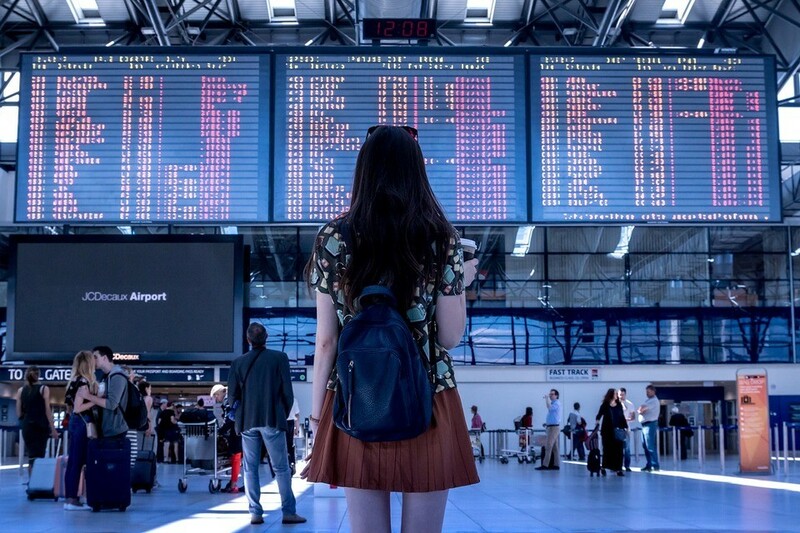 Make a research before you book the next vacation, or buy plane tickets and it will not just save you from headache, but also help to avoid the added costs of your next flight. Read and follow our recommendations and pay less for airplane tickets! Experts advice choosing so-called shoulder season for traveling because airfares are generally lower. Shoulder season is a period of time between high and low season and, actually, any season can be a shoulder season depending on your destination. For example, in Europe high season lasts from May till September (including it). You can enjoy an amazing weather in the Caribbean and Mexico in late April and May. These destinations are less expensive during these months because they go after spring break. However, keep in mind that traveling during the off-season has its lacks: hotels often do renovating, so you can face some inconveniences. Know what you want from a trip and check the attractions you want to visit will be available before booking a plane ticket. Most airlines usually release new sales in the middle of the week, so you can find the cheapest tickets on Tuesdays and Wednesdays. It’s important to know that sales often target the coming weekend and the following weekend but they are not limited to these. You can save yourself enough time if you check travel sites and sign up for e-newsletters from them. Most travel websites offer lists of the best deals of the week, so don’t miss yours! Try to book a flight on Tuesday, Wednesday or Saturday because these days allow buying tickets on the best price. Also, don’t forget to spend money properly when you’re abroad to boost your savings. If you need to check one or more bags on the flight, it’s necessary to find out how much you’ll have to pay for that. Fortunately, most airlines and travel sites provides such information online. You can visit Airfarewatchdog.com and see the baggage rates for different American airlines including overweight fees. Airline baggage policies vary greatly depending on the route and status of the flight. Average airline fees range between $15 and $50 per checked bag for domestic flights. As for international flights, rates may vary even more depending on the airline and destination. There’s a solution for those who want to avoid reading through the fine print. Fly.com offers a baggage icon, people can click on it to check the baggage fees before booking a ticket. If your departure and return days are flexible, you can save good money by using airfare search engines and try various days to find a cheap airline tickets. Also, these search engines help you to save your time because they scour numbers of travel sites in a matter of seconds, so you don’t have to check numerous websites yourself. For example, Kayak.com will show you the fares for each day of a month so you can catch the lowest price. However, keep in mind that some of such sites will let you book a ticket through them, but it makes sense to purchase directly from an airline website. It can save you extra money, you’ll receive bonus miles and be eligible for refund options. To save even more, plan your travel budget carefully. Remember that you can travel without your credit card and it’s absolutely realistic! Also check which travel fees to avoid and make a research upfront. Booking a ticket the last day may save you money, but will add too much of headache.